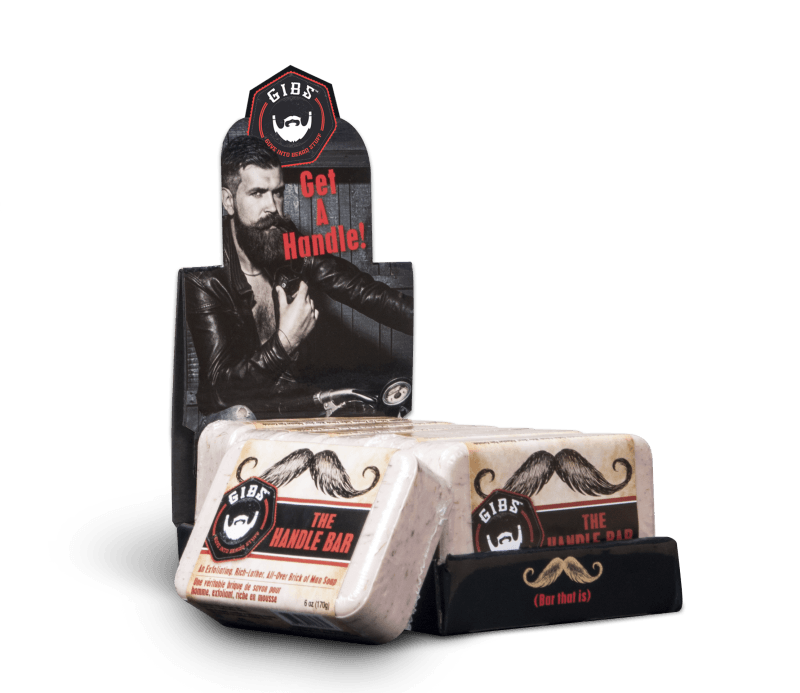 Get a real handle on your grooming routine with The Handle Bar, an all-over brick of man-soap that moisturizes and exfoliates. Shea butter, cat’s claw bark, coconut oil and jojoba seed powder leave you, and your man parts, squeaky clean, with a lets-get-lost-in-the-forest scent of citrus, oak and basil. You’ll get more bang for your buck, too: this baby boasts a super-rich, sulfate-free man lather perfect for shaving or putting your manscaping on point. 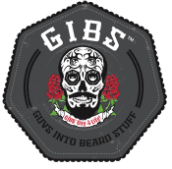 Get a grip on your manhood and streamline that shower arsenal: Raise the bar (of soap, that is) and face the day like a GIBS Guy, handily. Is your grooming routine on thin ice? 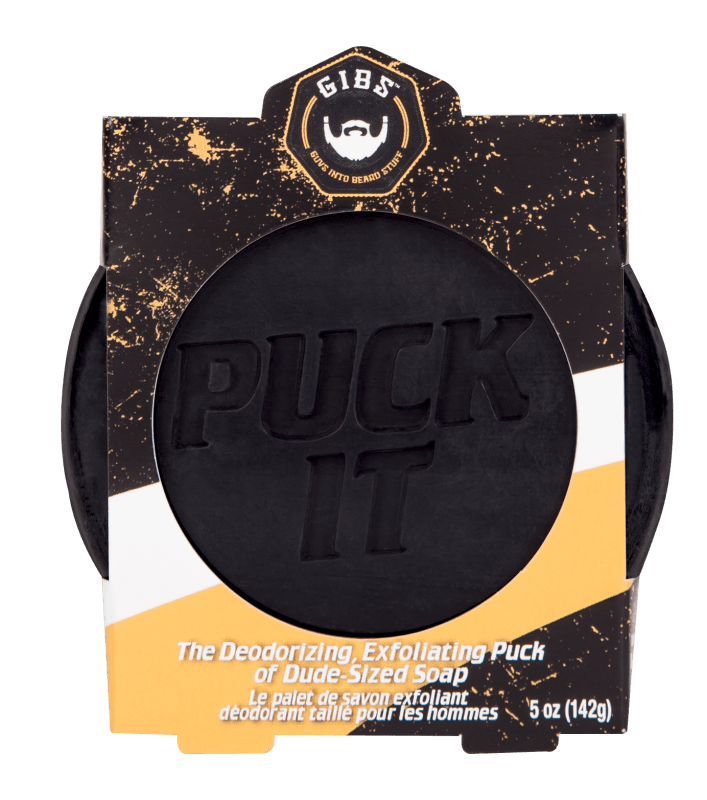 PUCK IT has your back. This soap goes for the deep clean, with active charcoal to cleanse your parts and neutralize odor. Shea butter's your D-man on the moisture front, while volcanic ash exfoliates for baby smooth skin, and cedar wood and seaweed skate in for a clarifying finish. You asked for it, our first body spray is here!!! 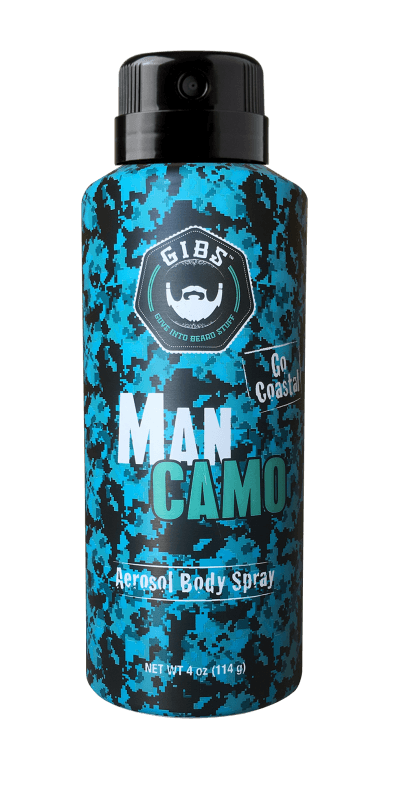 Go Coastal Man Camo Aerosol Body Spray spit shines your gnarly man stench when a shower is no where on the horizon. Neptune Kelp, witch hazel and lime extract absorb odor and refresh your flesh with crisp, clean whiffs of sea salt, citrus, driftwood, patchouli and musk. You’ll be mermaid ready just in time to catch the next wave! Our first-ever rinse out conditioner is here! We call it liquid butter for the beard. BioFuel Conditioning Fuel for Beard and Hair goes on after your wash. It's fortified with biotin, sapote oil and mango butter to condition and soften crisp face fur into strokable submission. Thank us later!